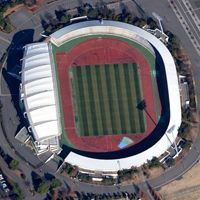 Plans to build a new stadium were drawn in 1992. 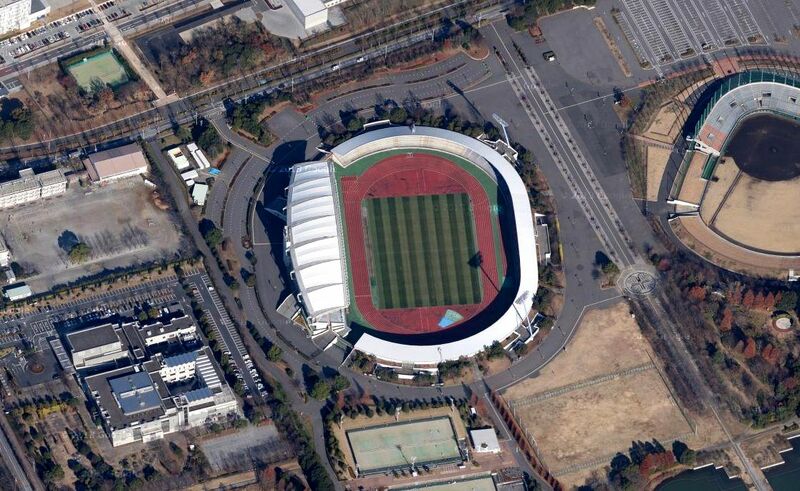 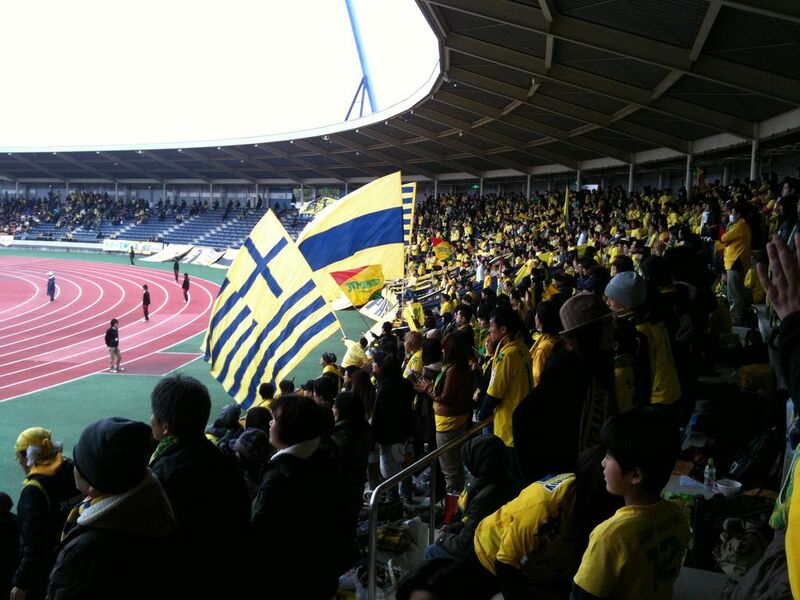 City and prefecture authorities wanted the popular J.League team Reysol to relocate here. 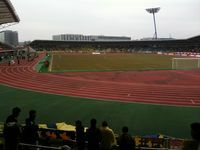 Fully covered stands, not common among stadia of this size in Japan, were to be among advantages of this arena, compared to smaller and older Hitachidai. 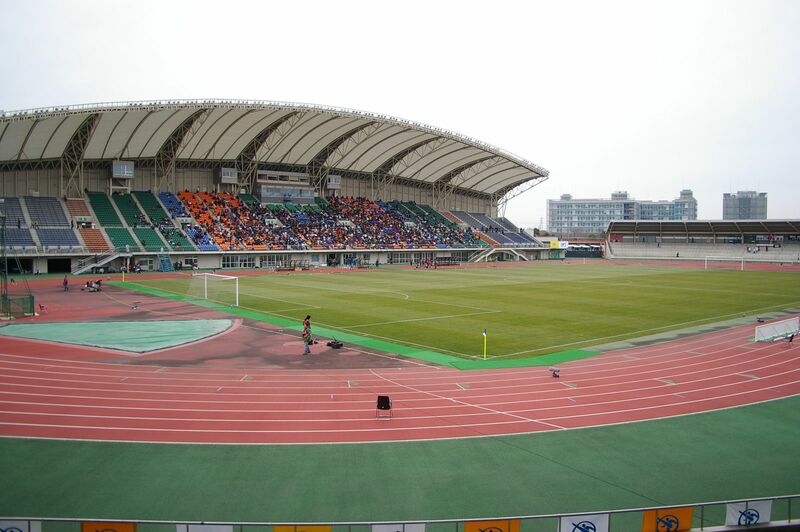 However, the stadium met with strong opposition from the very start. 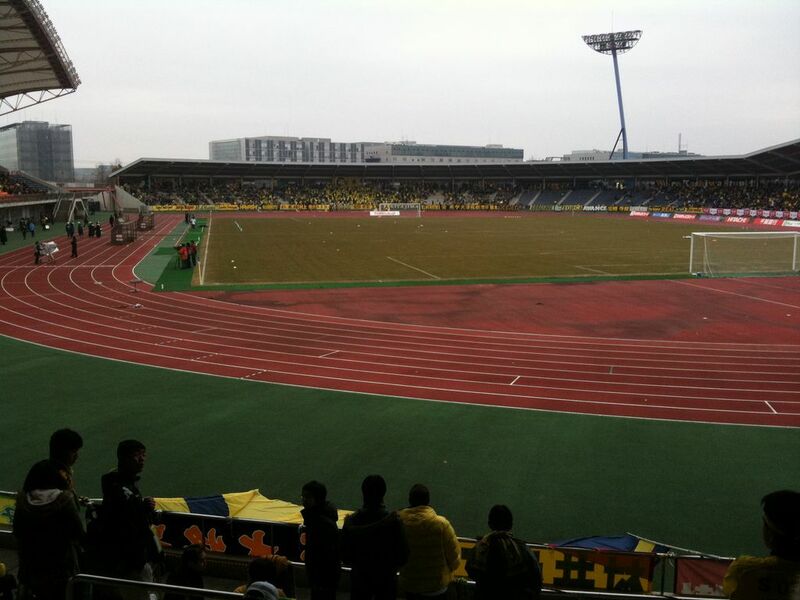 Fans were displaying banners about it being the worst possible place. 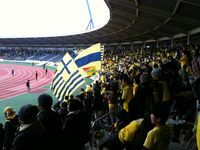 They also emphasized, that getting to the ground in north-western parts of the city isn’t easy – nearest train station is half an hour away on feet. 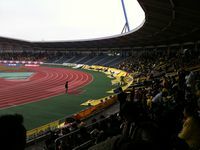 Then comes the athletic layout, which led to the fans neither being able to see the game well, nor create proper atmosphere. 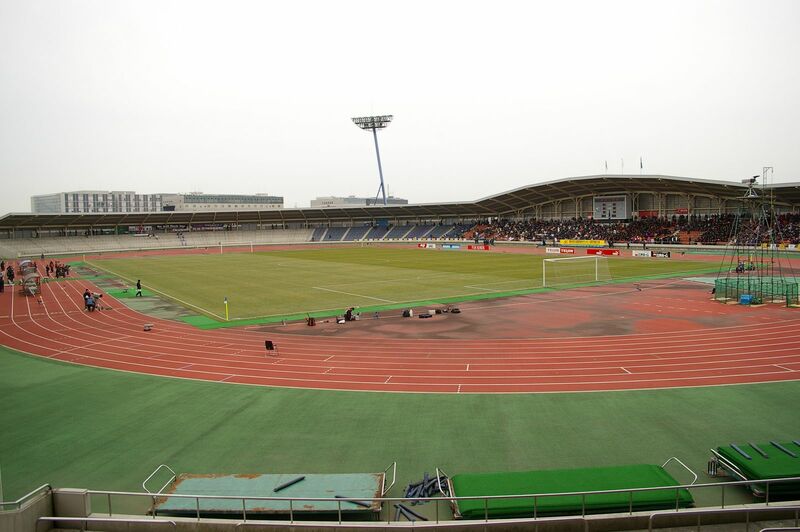 Thus, Kashiwa Reysol moved away from this public venue to their own Hitachidai in 2009, playing last J.League fixture here in 2008. 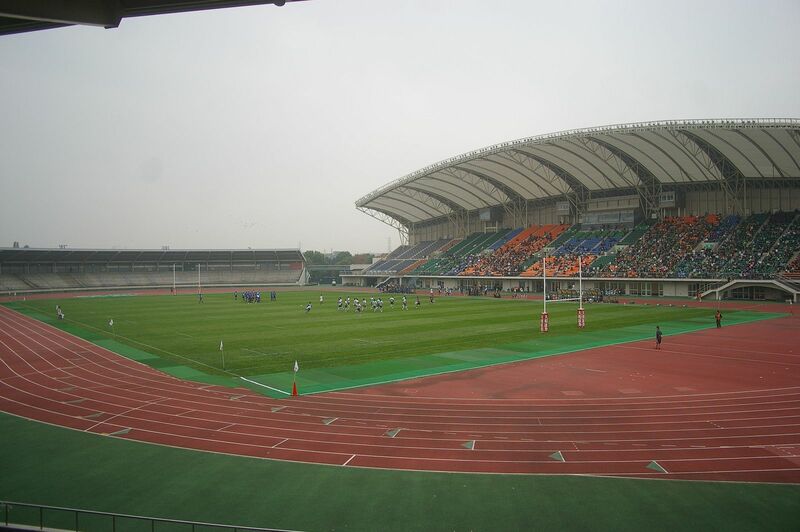 Currently they only come here for friendly encounters, while local rugby side provides week-to-week use.